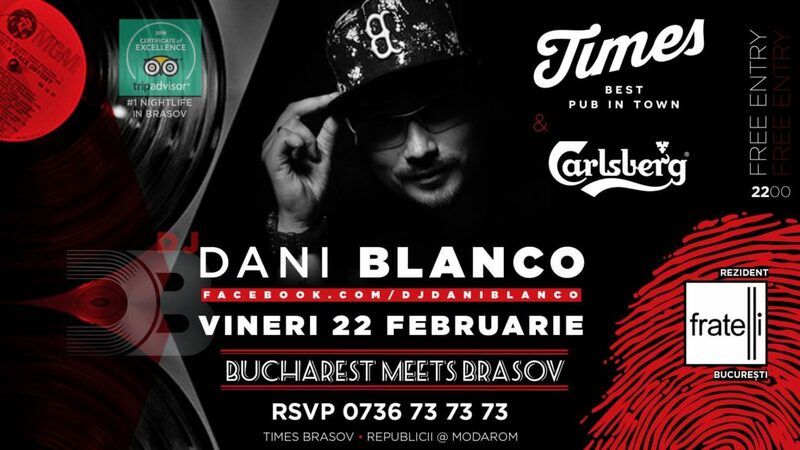 #Bucharest meets #Brasov, Friday February 22 in Times! Times Brasov & Carlsberg brings you the best music in town! DJ Dani Blanco, the Fratelli resident, will spin his best records until the night meets the morning sun!